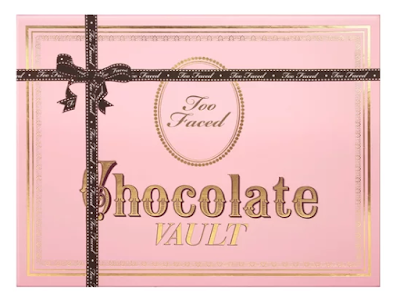 If you are a Too Faced fanatic, then this is going to be the perfect indulgent gift! Part of their 2017 Holiday Collection The Chocolate Vault is an absolute dream and one I wish to find under my tree on Christmas morning. Wait till you lay your eyes on this beauty and learn about its contains and reason why Jerrod Blandino created these palettes. Too Faced Co-Founder Jerrod Blandino discovered the power of cocoa while getting a chocolate facial in Hawaii. It was there he learned cocoa is one of the most potent antioxidants on the planet and a beauty secret used from ancient Egypt to modern Hollywood starlets. 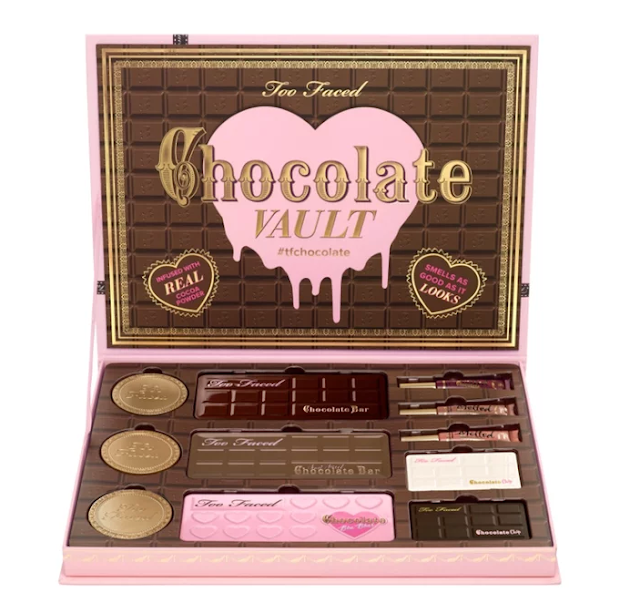 Take your chocolate obsession to the next level with the ultimate 11 piece mood-boosting vault featuring the world famous Chocolate Bar, Chocolate Bon Bons, Semi-Sweet Chocolate Bar, Chocolate Chip and White Chocolate Chip eyeshadow palettes, decadent Melted Chocolate lipsticks and our indulgent line of Matte Bronzers, all infused with decadent cocoa powder. The Chocolate Bar experience begins as soon as you open the palette and the smell of sweet chocolate envelops you. 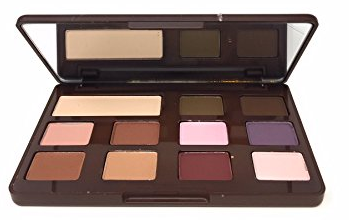 The eye shadows are pigmented with pure, antioxidant-rich cocoa powder and includes 16 matte and shimmer shades of natural browns, delicate pinks and luscious plums. Includes Too Faced signature how-to Glamour Guide with three looks to get you started. Discover a candy-coated confection of heart-shaped delights with 16 matte and shimmer shades in cool pops of color, sugary brights, and beautiful go-to neutrals - all infused with Too Faced's chocolate-scented, antioxidant-rich cocoa powder formula. Chocolate Bon Bons is the third palette in their bestselling Chocolate Bar Eye Shadow Collection (and some might say the cutest!). 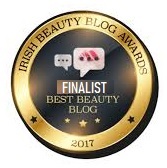 They've included their signature Glamour Guide with three beauty looks to get you started, but don't stop there - the looks are limitless. Indulge your beauty craving with 16 antioxidant-rich, cocoa powder-infused matte and shimmer shades of warm caramels, deep mochas, bronzy chocolate hues and a pop of sugared blueberry. Inspired by the success of Too Faced's original cocoa-infused Chocolate Bar Eye Shadow Collection, Semi-Sweet Chocolate Bar is a deeper, warmer version of their best-selling palette. 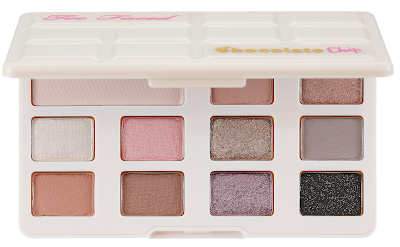 The bestselling Chocolate Bar Eye Shadow Collection just got a matte makeover. Chocolate Chip Matte features 11 of Too Faced’s iconic Chocolate Bar shades transformed into all matte finishes, each infused with the signature antioxidant-rich cocoa powder and a decadent chocolate scent. With a confection of natural browns, delicate pinks, and luscious plums, the rich, high-pigment shadows offer true color payoff, while the silky-smooth formula blends effortlessly. The bite-sized palette is the perfect travel companion that allows you to indulge your beauty craving anywhere you go. The delectable White Chocolate Chip Palette features 11 antioxidant-rich, cocoa powder-infused shades with a signature chocolate scent. With a confection of pastels, creamy nudes, and a pop of black, these high-pigment eyeshadows offer true color payoff and a silky smooth finish. 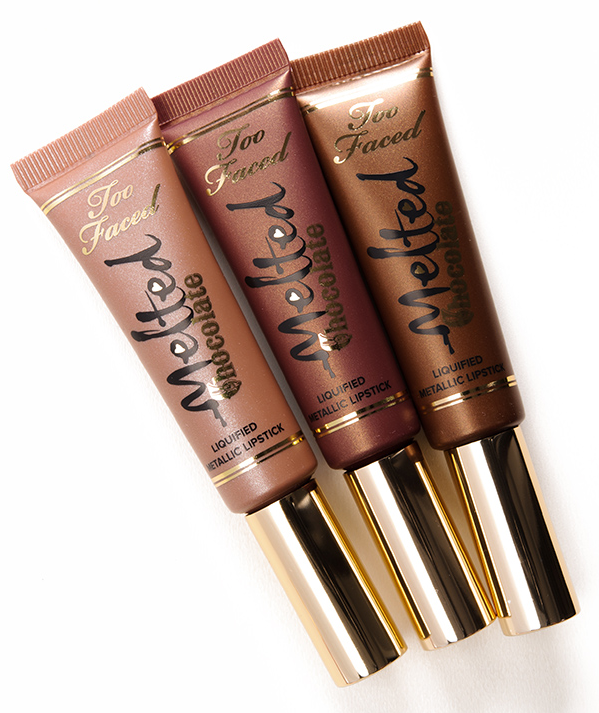 Too Faced gave its Melted Liquified Lipsticks a makeover to create these, cocoa powder-infused shades. Each chocolate-inspired shade comfortably coats lips with bursts of high-impact, saturated color, while an innovative, angled velvet tip allows for precise application. It features exclusive technology inspired by the molten form of lipstick during lab production to give these lipsticks a melted texture that imparts bold color and rich shine. Infused with antioxidant-rich cocoa powder and a mood-boosting chocolate scent, these lipsticks leave lips saturated with color while offering comfortable, flexible, and cushiony wear. 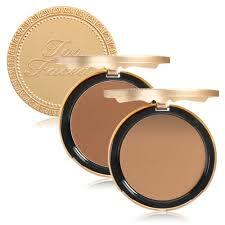 Too Faced Chocolate Soleil Matte Bronzing Powder makes getting glam-and-tan downright delicious. Too Faced combines the natural, therapeutic effects of real cocoa powder with their signature bronzing pigments, creating a unique matte bronzer that neutralizes red and evens out and enhances all skin tones. 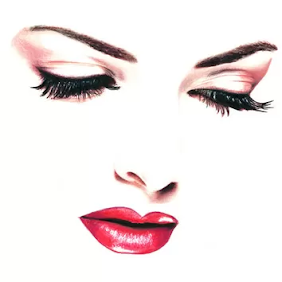 The complexion is left with a flawless finish, a gorgeous radiance, and a subtly sweet scent. Check out the full Too Faced Holiday Collection 2017 here and see which ones Santa leaves you this Christmas.